Active Learning for the Medical Sciences! Draw It to Know It is an online educational platform that takes the classic approach to science education and revitalizes it for the modern classroom. Draw It to Know It’s active learning approach has been praised for making science education simpler and more effective. The tutorials begin with a blank screen and proceed in hand-drawn steps that students master through active engagement, which, as research substantiates, greatly enhances the learning experience. Access Draw It to Know It directly from your mobile browser or download the Draw It to Know It iPhone/iPad app from iTunes, then click Login to enter your username and password. Register here to create your personal account. Animated, active learning style tutorials with variable playback speed. Quiz questions that accompany each tutorial. Interactive drawing pad with multiple colors and pen sizes. 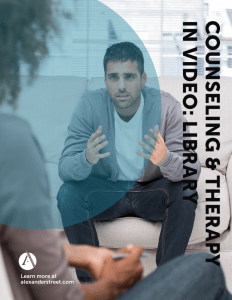 AccessPhysiotherapy from McGraw-Hill Medical is devoted exclusively to the study, instruction, and practice of physical therapy. Leading physical therapy textbooks – Fully searchable and complete content of the definitive collection of physical therapy texts from McGraw-Hill Medical, such as Dutton’s Orthopaedic Examination, Evaluation, and Intervention and Therapeutic Modalities in Rehabilitation. Multimedia – A robust library of narrated videos designed to teach exercise and rehabilitation techniques, kinetics, and physical therapy interventions. NPTE review – More than 2,200 interactive self-assessment questions designed to help users prepare for the NPTE exam. Anatomy & Physiology Revealed – An interactive cadaver dissection tool that students can use anytime, anywhere to gain valuable anatomical knowledge through unparalleled access to views of the entire human body. VisualDx is a visual diagnostic decision support system used to enhance diagnostic accuracy, aid therapeutic decisions, and improve patient safety. It combines high-quality, peer-reviewed medical images with concise, actionable information to support the decisions of health care providers. The content is organized by common and diagnostic problem areas, age, and body location. It visually presents disease variations by skin type, age, and passage of time. Clinicians can initiate a unique differential diagnosis based on the visual symptoms of a patient. A customized pictorial differential diagnosis tailored to a patient’s findings is formulated dynamically. VisualDx compares most relevant diseases or drills down to research with handbook-length clinical information and variation in visual presentation. VisualDx integrates within UpToDate! When you search UpToDate, keep a look out for the orange VDx icon, which indicates content from VisualDx. The VisualDx app is available on iPhone, iPad, and Android. 3D anatomy atlas – Choose from over 290 interactive 3D anatomy views, including 148 trigger points, covering the whole body. All main views allow you to rotate and add or remove layers of anatomy from the models. All visible structures can be labelled and every 3D anatomy view and animation is accompanied by introductory text. Library of 3D muscle function animations – Over 75 animations cover many common movements such as flexion, extension, adduction, and abduction for the head and neck, upper extremity, trunk, pelvis and lower extremity. Each animation can be exported into PowerPoint for presentations or teaching. Library of more than 80 surface anatomy movies show the muscle action for real‑life context. Short, accessible text explanations and links to related content. 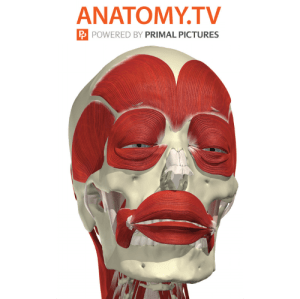 AnatomyTV content is also available on iPad and Android tablets.